Read My Tulips (love the name!) is a warm toned violet base with lots of pink and copper shimmer. Shown here is three coats plus top coat. I had slight bald spots at the base of my nails so I needed a third coat to cover them up – although I did do a pretty thin first coat. Other than that, formula is great! Very easy to apply and control. 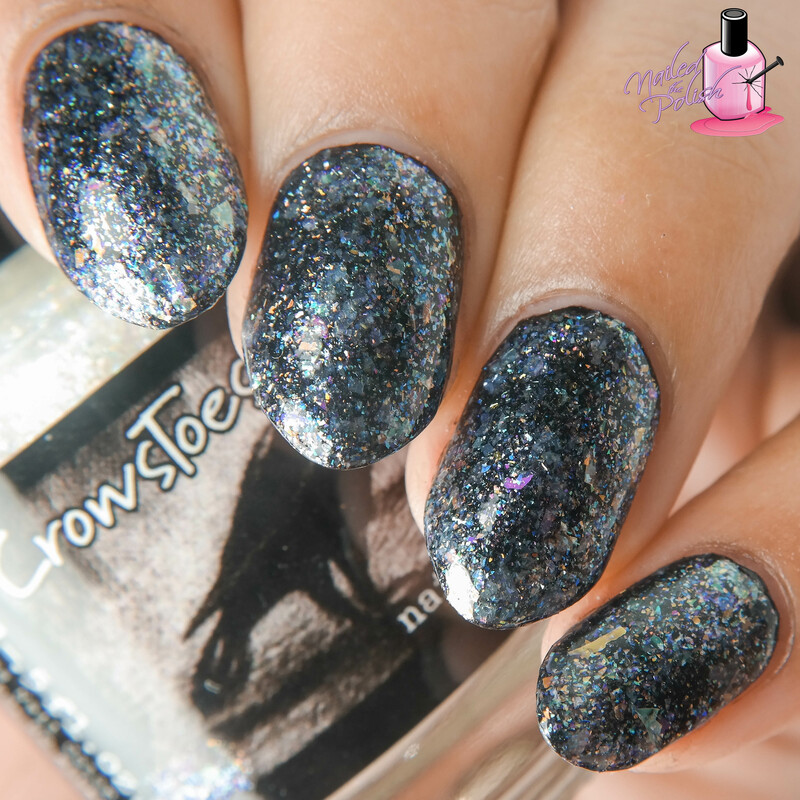 Mad as a March Hare is a clear base topper PACKED with iridescent shimmer and flakes. Shown here is ONE coat over black plus top coat. As you can see, this polish has amazing coverage! It applies well and the flakes lay flat so only one coat of top coat is needed to smooth it all out. This polish also looks great layered over lighter colors! Last up is Sprout and About – a stunning mint holo with lots of silver metallic flakes, micro glitters, and shimmers. Shown here is two coats plus top coat. This polish is gorgeous!! I absolutely love the mint hue and the added elements are perfection! This box will be priced at $50 and includes domestic shipping (international shipping extra). Pre-order will be here starting Tuesday, March 1st, through Friday, March 4th. And get this! Five random boxes will have a $25 Gift Certificate from one of the makers! So that means five lucky people will get an extra $25 to spend in one of the shops featured in the box! This will occur EVERY month too – not just this month! SO AWESOME!